Recently I had the great pleasure of working with @STSkou on a paper related to exercise and physical activity for osteoarthritis. This 2 part blog he provides a great summary on the paper (Editor Jo Monahan). Hip and knee osteoarthritis (OA) is among the leading causes of global disability with knee OA estimated to affect around 250 million people worldwide. Adding to the pain and disability caused by OA, up to 2 out of 3 people with hip and knee OA are also affected by another chronic disease, such as cardiovascular disease, type 2 diabetes or depression. Expecting a dramatic increase in the prevalence of OA and other chronic conditions in the future, prevention and treatment strategies that are able to address more than one disorder at a time are greatly needed. Compelling evidence supports the safety and effects of exercise therapy as treatment of hip and knee OA. It is at least as effective as nonsteroidal anti-inflammatory drugs (NSAIDs) and 2-3 times more effective than acetaminophen (paracetamol) in reducing pain in knee OA. Importantly, exercise therapy is safe and not associated with the same risk of harms as NSAIDs and acetaminophen. In addition to OA, exercise therapy is also effective as treatment of at least 25 other chronic conditions including cardiovascular disease, type 2 diabetes and depression. Furthermore, physical activity can help prevent 35 chronic conditions. In addition to those mentioned above, other prominent conditions include some types of cancer, stroke and dementia. Therefore, exercise therapy and physical activity in general is an obvious part of the solution to the future epidemic of chronic conditions. As people with hip and knee OA most often have other chronic conditions these needs to be taken into account when individualizing the exercise therapy program to maximize the ability to address not only the symptoms and limitations related to OA, but also the symptoms and limitations related to the other diseases. Several chronic conditions including cardiovascular disease, type 2 diabetes, dementia and OA are associated with chronic low-grade inflammation. The anti-inflammatory effect of physical activity and exercise therapy might serve as a working mechanism behind the preventive and treatment-related effects across the different chronic conditions. 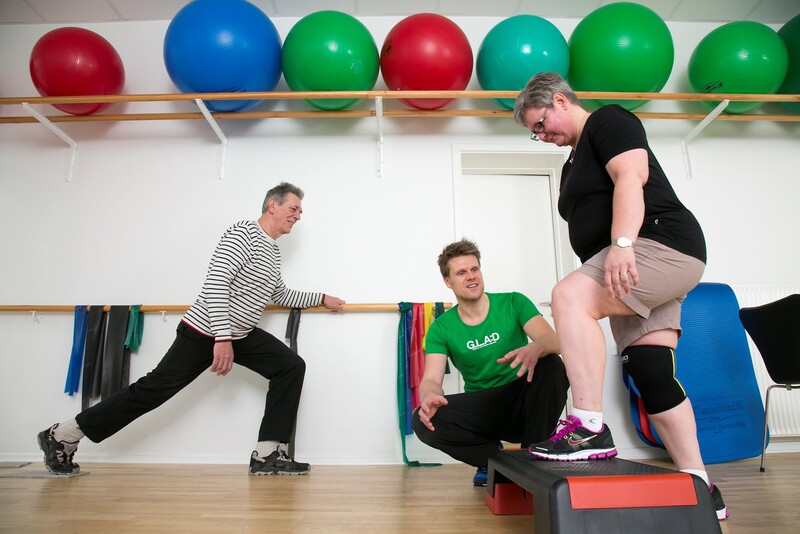 In the end, promoting and supporting people with OA and other chronic conditions to become more physically active alongside participating in structured exercise therapy targeting the needs and preferences of the individual is crucial to address the future epidemic of chronic conditions. The information in this blog presents current evidence on physical activity and exercise as prevention and treatment of hip and knee OA and other chronic conditions recently summarized in a paper in Journal of Orthopaedic & Sports Physical Therapy.